Iglooplay is a children's furniture collection from Lisa Albin Design that combines organic forms, ergonomics and a modernist sensibility to playfully engage both children and adults. The designs respond to the idea that child development flourishes from contact with sculptural forms, material variation and color, and incorporate bent plywood, hardwood veneers, rich colors and soft, upholstered foam. The furniture provides a safe sense of place for children, enhances creativity through play and integrates gracefully into contemporary, everyday family life. Iglooplay's modern point of view embraces simplicity and quality and above all, respect for children. multi-functional + multi-generational. The multi-functional designs were inspired by observations of my two young daughters at play and how they artfully created a sense of place using the objects around them. I developed the low and wide proportions, organic shapes and ease-of-use to enhance the spontaneous and creative process that children naturally express in their daily play. Child's play has a profound sense of purpose; it is not all folly, but a necessity for children to learn how to negotiate their developing physical and intellectual skills. Or, as Maria Montessori said, "play is a child's work." In addition, the designs are multi-generational engaging, aesthetically pleasing and adaptable for various adult uses as well. green + safe. Because nurturing our children and our earth are a perfect fit, we use eco-friendly materials that will sustain families and the environment for many years to come. By working with forms and materials that are designed to last, we reduce waste and consume less of our natural resources. We use resource-efficient molded ply construction with hardwood veneers which have been obtained from sustained yield forestry practice. Having fewer pieces in your home that can serve a variety of ages means less stuff and less waste. Each product is tested at an independent safety lab authorized by the JPMA to ensure juvenile product compliance. 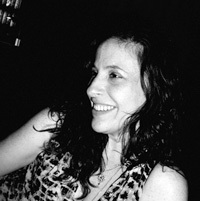 Lisa Albin earned her Bachelor of Architecture from The Rhode Island School of Design in 1990. After assisting landscape architect Alexandre Chemetoff in Paris and artist Vito Acconci in Brooklyn, Albin spent the next 10 years designing residential interiors and feature films in NYC (for such directors as Bette Gordon and Phil Joanou) and worked at Pierce Allen on architectural and interior projects. Inspired by her young children and after a seminar at Haystack Mt. School of Crafts in Maine, Albin turned to children's furniture, launching Iglooplay in 2005. That same year, Iglooplay exhibited prototypes at Brooklyn Designs and The International Contemporary Furniture Fair. Albin has taught at Parsons School of Design and has guest-lectured at Columbia University, School of Visual Arts and The Cooper-Hewitt Museum's after school program. Through her design practice, Lisa Albin Design (www.lisaalbin.com), she continues interior, furniture and textile design work and develops proposals for indoor and outdoor multi-age public spaces. our care, respect + support.